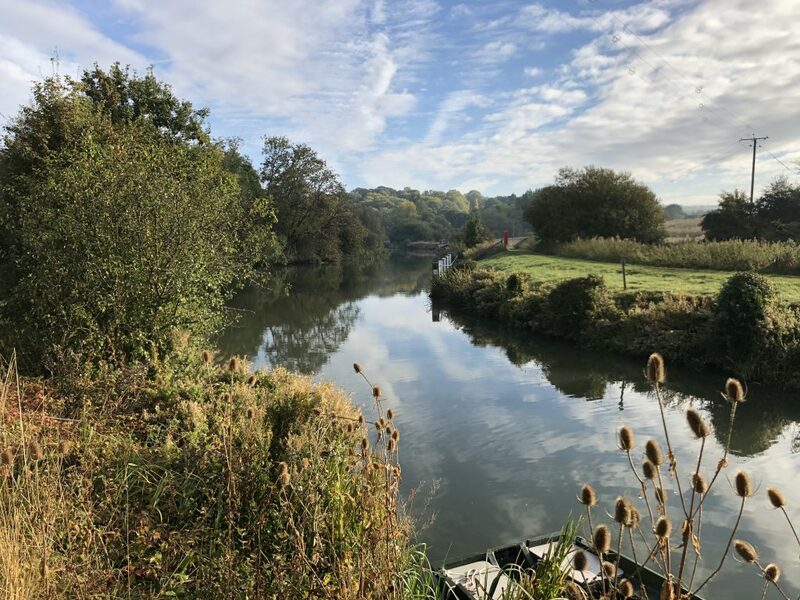 Here are the notes for my first overnight canoeing trip down the Thames. I thought it might be useful for someone else doing a similar trip. We launched on the east side of the river opposite the Ferryman Inn at Bablock Hythe (51.735252, -1.371328). It took an hour to prepare the boats and we set off at 3:30pm. There is a carpark where we could leave a car overnight. It was about 4km from the launch site to Pinkhill lock. This is about an hours paddling at a comfortable speed. It’s a beautiful stretch of the Thames with very little traffic and noise. It feels really peaceful. Pinkhill lock has a totally beautiful campsite. It is situated on an island with a lock on one side and a wier on the other. It is really quite and relaxed. There is plenty of space but it has a really intimate feel because the campsite is limited to five tents only (although frankly you fit 10 tents on the site). You can have open fires and the trees provide plenty of kindling. There is a toilet with a shower around the back of the lockmasters’ house. Our kids (5 and 8 years old) loved it. It felt very safe and was a perfect enviroment for them. You can get your boats out of the water to the left of the moorings and carry them to the campsite. 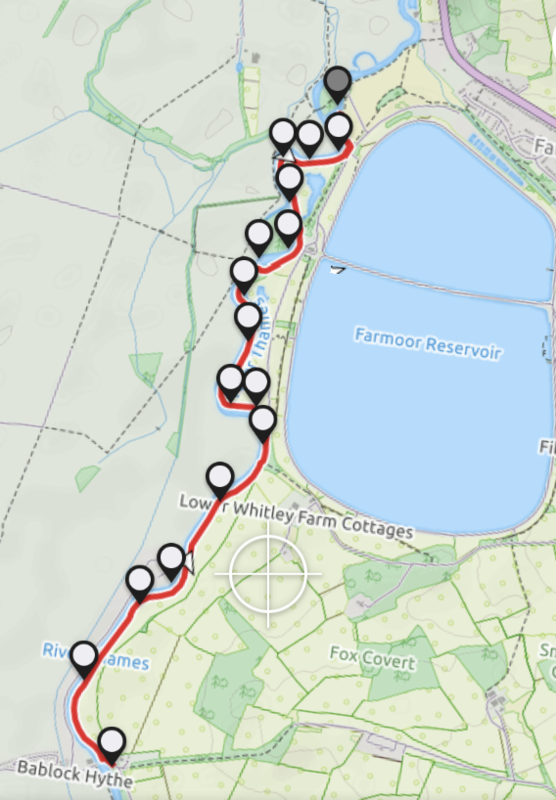 The journey from Pinkhill Lock to Wolvercote is around 9km depending on the route that you take. 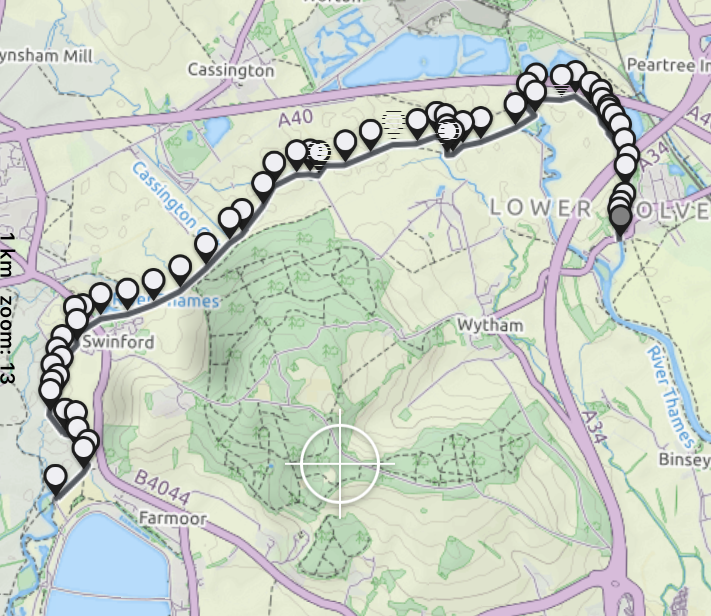 For example, you can go via Kings Lock or further north. The river is straighter than day 1. This is the view from the Pinkhill lock down the Thames towards Oxford. 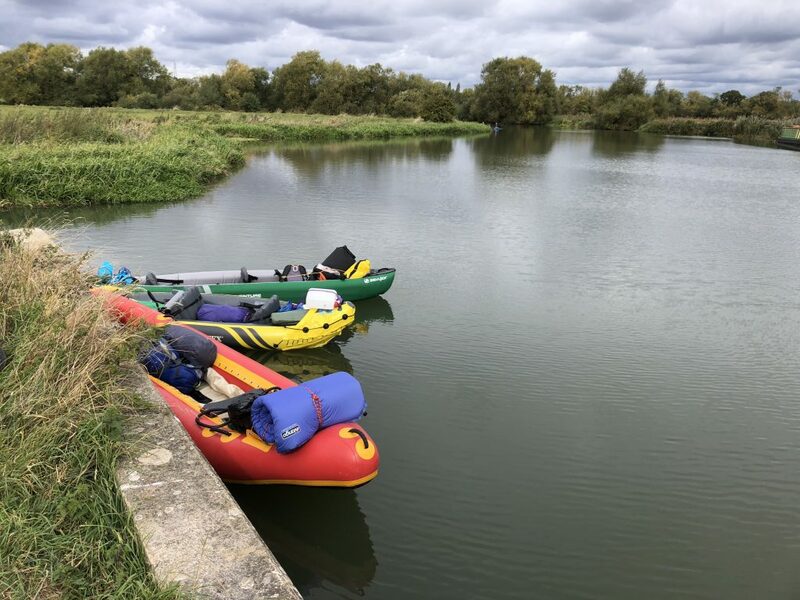 We left the Pinkhill campsite around 11am and arrived at Wolvercote around 2pm. We stopped for lunch along the way by mooring up by the side of the river a short way from the Kings Lock. 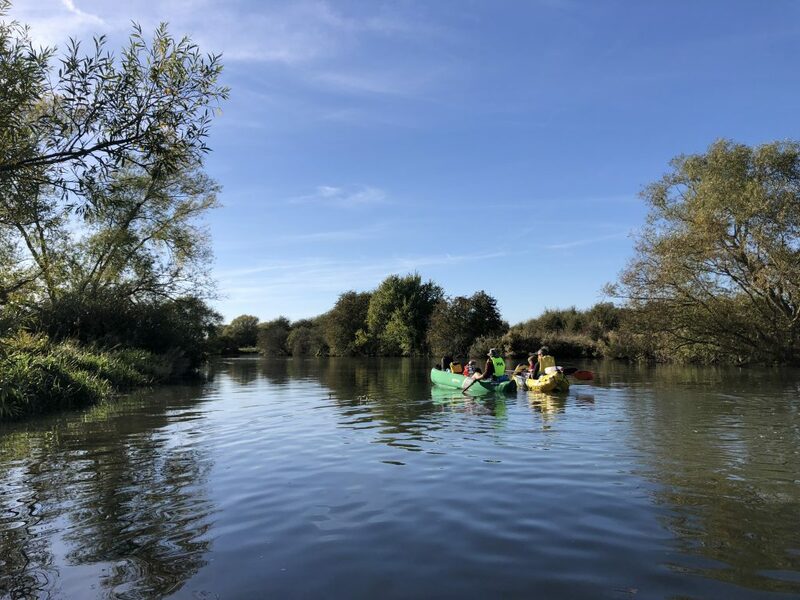 We greatly enjoyed the trip and can highly recommend it as an easy overnight route for canoeing on the Thames.